Kirstin Reddington has an Exhibition here. 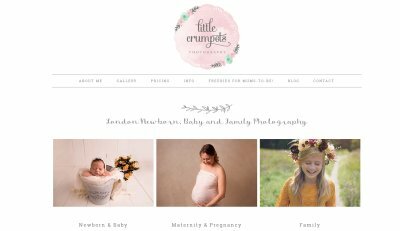 My photographic style: Hi, I'm Kirstin of "Little Crumpets Photography" and I'm a newborn, baby, maternity and family photographer! My studio is based in London, England. Many clients come to me from all over London and surrounding areas around London. I'm a quirky Canadian who has lived in London for 6 years and love that I get to follow my dreams here! My photographic style is quirky, vintage and fun. I love adorable organic props like teddy bear bonnets and headbands but also natural images in your session as well as baby is most important! I've been photographing newborns for over 4 years and have photographed hundreds and hundreds of newborns! Being a newborn photographer is not just about taking pictures, but it is about knowing how to soothe and handle precious newborns and put their safety first. You are investing in lifelong memories but also investing in the person that is going to be handling your new arrival up close and personal! I value safety and composite images and have lots of training and experience specialising in newborn photography. Most of my clients book their newborn sessions after their 12 or 20 week scan as I do book up quickly! I only take 12 newborns per month so that I can devote my time to you and be as flexible as I can for those early/late births as newborns rarely arrive on time! Newborn sessions are best done up to 14 days old so book in early! I have been in photography: 5 years. How I got started in photography: I often get asked by clients how I became a newborn photographer and well, I must say the journey has been long but a natural progression. You know in school when they say that the job you will have may not even exist yet or you may never have heard of it? Well, I never in a million years thought I'd have become a newborn photographer because I never knew about it when I was in school! 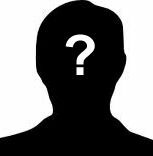 But if you told my Secondary School self what I'd eventually have as a career? I bet she would've been pretty excited for her future. Back in Secondary School I had no idea which direction to take in University, so I chose to study subjects I loved- English and Art. I thought majoring in English would lead to a stable career choice. How wrong I was! I went into teaching and hated it. I went for the stable career choice and ended up so sick and miserable that I had to follow my dreams. It took me awhile to figure out what those dreams were, I had been taught to believe that anything artsy wasn't a good career choice as it would be too hard to survive on it. I examined my interests and realised the one thing that made my heart sing was photography. I had always taken my little sister's photos (she's 16.5 years younger than me) and absolutely adored doing so. I then discovered the genre of newborn photography which was very scary at first as I had to train and get experience with newborns. After many years in newborn photography, I'm so in love with my job and I can't believe I got so lucky to find it! My photographic skills: I specialise in newborn, baby and family photography. Photography is my full-time profession and my biggest passion in life is newborn photography! I'm professionally trained in newborn photography & safety by UK & American leading experts in the field to ensure your little one is safe and happy! I use safe posing techniques. I'm a PRO member of the Baby and Newborn Photography Association which promotes safety and a registered member of The Guild of Photographers. Only 10% of BANPAS members were graded as PRO members! When choosing your newborn photographer please make sure they are trained in newborn safety and insured. My personality: I'm quirky and introverted but love chatting to my clients during newborn sessions. I'm creative, love colour and am super organised. Geographic areas I cover: I'm based in London, England and many clients travel to me from all over London and surrounding areas like Kent and Essex. I found inspiration from: Many newborn photographers across the world inspire me, I adore antique shopping and all things vintage! Photographic training: Taken newborn photography workshops from photographers in UK and America.